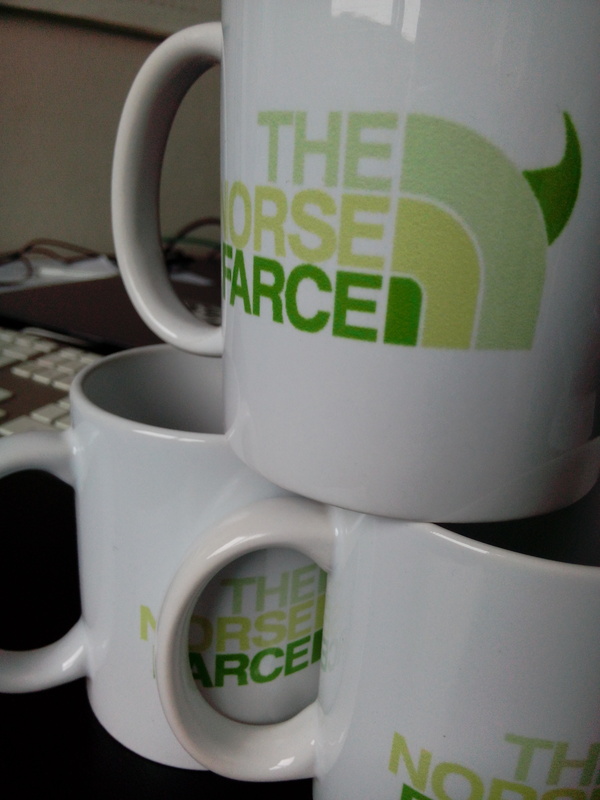 Today, I received the Norse Farce cups I had designed with the help of Thomas! While just as easy to replicate on sites like Vistaprint, I have a few left in case some Og’s readers are interested! In reply to my call for designs along the Norse farce pun, here is a nice proposal from Thomas, which stands so far as a strong competitor for the best design! 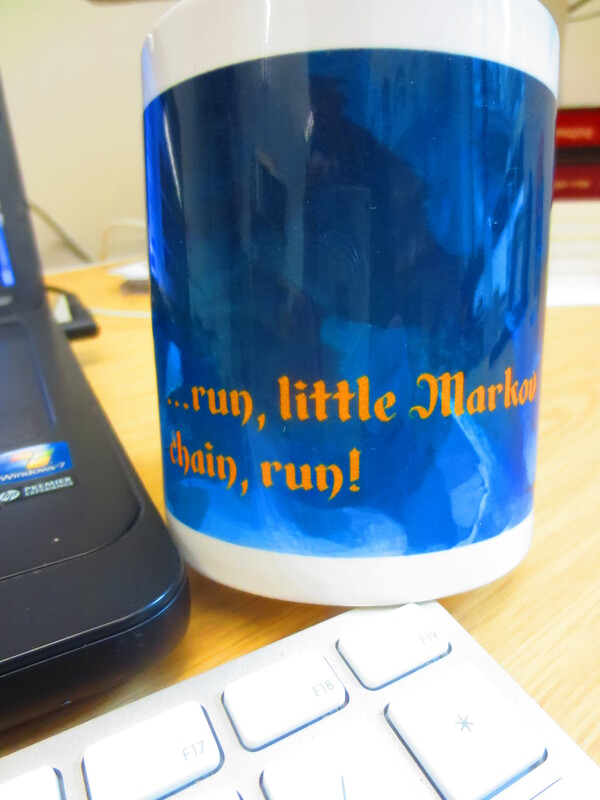 I welcome more submissions: remember, a free mug to the winner!!! 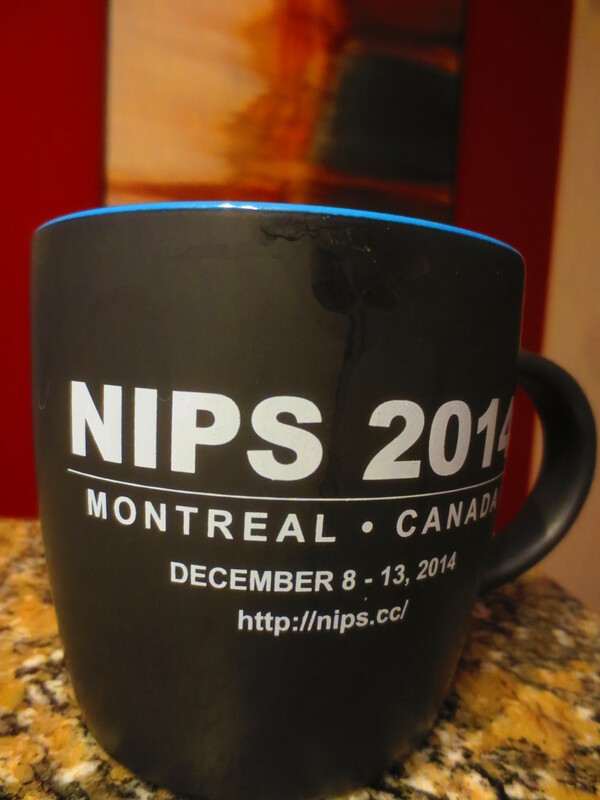 Second and last day of the NIPS workshops! The collection of topics was quite broad and would have made my choosing an ordeal, except that I was invited to give a talk at the probabilistic programming workshop, solving my dilemma… The first talk by Kathleen Fisher was quite enjoyable in that it gave a conceptual discussion of the motivations for probabilistic languages, drawing an analogy with the early days of computer programming that saw a separation between higher level computer languages and machine programming, with a compiler interface. And calling for a similar separation between the models faced by statistical inference and machine-learning and the corresponding code, if I understood her correctly. This was connected with Frank Wood’s talk of the previous day where he illustrated the concept through a generation of computer codes to approximately generate from standard distributions like Normal or Poisson. Approximately as in ABC, which is why the organisers invited me to talk in this session. However, I was a wee bit lost in the following talks and presumably lost part of my audience during my talk, as I realised later to my dismay when someone told me he had not perceived the distinction between the trees in the random forest procedure and the phylogenetic trees in the population genetic application. Still, while it had for me a sort of Twilight Zone feeling of having stepped in another dimension, attending this workshop was an worthwhile experiment as an eye-opener into a highly different albeit connected field, where code and simulator may take the place of a likelihood function… To the point of defining Hamiltonian Monte Carlo directly on the former, as Vikash Mansinghka showed me at the break.